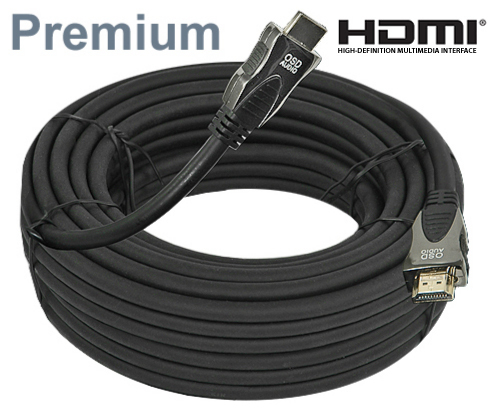 HDMI cable carries high definition signals of both audio and video in one, easy-to-connect cable. 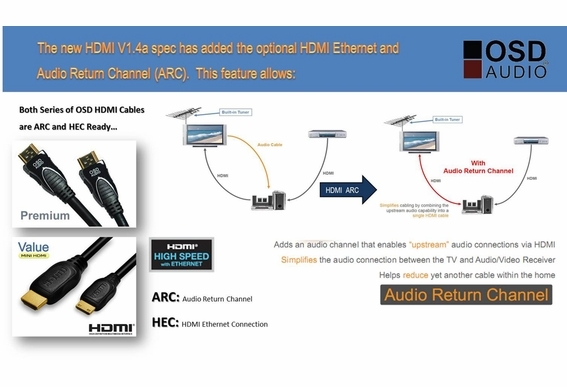 A digital version of analog component video cable, HDMI vastly simplifies the connection process. 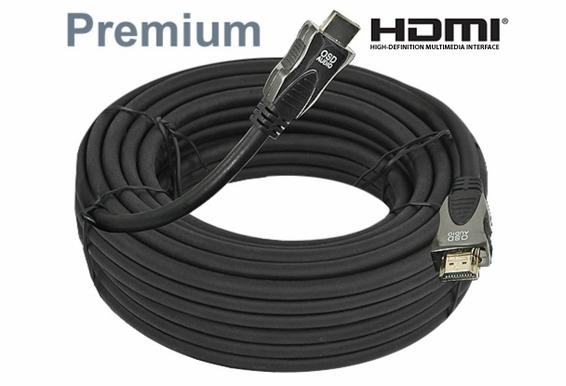 HDMI can have a great impact on picture and sound because it allows uncompressed signals and will not degrade, although long runs (over 40 feet) often require signal boosting from an HDMI extender. HDMI cable interfaces between any audio/video source with HDMI including, set-top boxes, DVD players, game consoles, A/V receivers and digital televisions. Can I run HDMI cable outdoors? OSD Audio HDMI cables have jackets that are rated CL-3 and the barrel of the connector is plastic. If the equipment you are connecting will not be exposed directly to the elements, it should be fine. An RCA or F (coaxial) connection will actually have more exposed metal than HDMI because the metal connector of the HDMI, when inserted into the TV input, has less exposure. 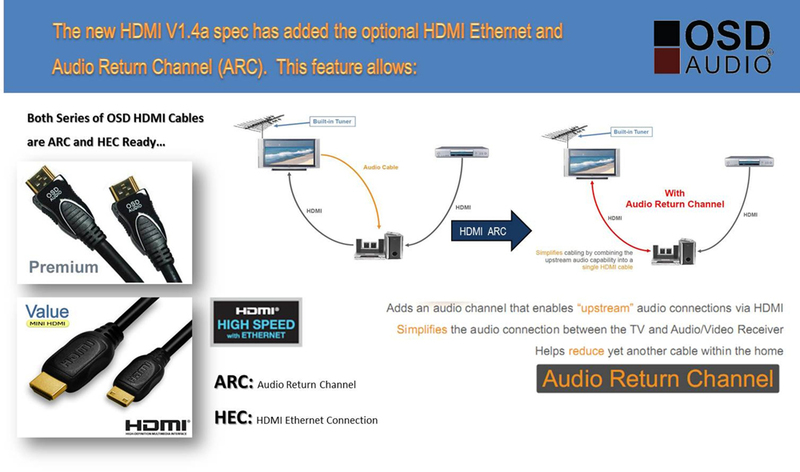 Would this Premimum HDMI support 4K applications? what is the thickness of this cable - specifications? is this cable insulated? Linda, The diameter of the cable is about 1/4" and is CL3 rated for in-wall. Can I use it on 3-yr old HD projector? It's currently hooked up with component cables but the projector has HDMI slot.